The first post in year 2011. How's your New Year's eve last night? Did you have fun? Well, I'm glad if you did. Let's hope this year all resolutions that each of us has made will be achieved and may we all have a wonderful year ahead! By the way, to answer the question in the title above, my answer is: No, I don't monetize my blog. Well, I haven't. Maybe one day I will try to monetize it. Or maybe never. Before we continue talking about it, now I feel like I want to reminisce my years of blogging. I first time blogged in 2006 and my first blog was at Friendster. After some posts, I left Friendster and I started blogging at Wordpress. I remembered the URL. It was insanayu.wordpress.com (it's already deleted). After two years in comfort, I left Wordpress in order to make a new blog at blogspot. So bloggerbercerita was born. But, on 11 Dec 2010, again, I left my old blog to start another one. I know I'm such a nomadic people. And that isn't included my minor blogs that I've created while 2006 - 2010. Blogs which I even forgot their usernames and passwords. I have told you that I love blogwalking, haven't I? Since I made my first blog, I never stop blogwalking until now. I'm wandering for one blog to another one. Reading people's writings that I've never met. Some writings I love, some writings I consider as garbage. Some blogs I subscribe immediately at the moment I land at their page, while some other blogs make me close the tab and never return to them. During the last four years (time here I'm using between 2006 - 2010), I've been a loyal reader to some bloggers. I subscribe their blogs in my Google Reader and I love them. I love their writings and I love the way they combine words (it seems that they are so rich in vocabularies!). Their writings are really attractive and nice to read. I learn a lot from them. I learn that blogging is fun. If you blog from your heart, you'll get benefits. And, what are the benefits? Depends. It depends on each of us. If I say getting money from blogs is fun, maybe for some of people think that's annoying. Fans: What do you think about people that are monetizing their blogs? Do you agree with that? People can do whatever they like on their blogs. They can write their daily life stories, their travellings, their opinions about government, their critiques to Nurdin Halid and PSSI, or they want to make money from their blogs. It is up to them. And, who the hell are we criticise them if they choose to monetize their blogs? There are millions of blogs that discuss about online marketing, online selling, blog monetization. Just type those keywords on google and you can see millions pages as results. Now, choice is yours. Either you still want to read it or leave it. Usually I leave it. But, what if your favorite bloggers start to monetize their blogs? For example, writing about products and their writings are actually a paid review? I already have my suspicions when some bloggers often write about products and put some link in their writings. At first, I thought, "Well, maybe it's a review after using those products." But, after had some chit-chat with my friend--she's quite active on internet--, my suspicions were proven right. To be honest, I'd feel like I've been betrayed. I mean, I subscribe their blogs because I love their writings. Their honest opinion, funny stories, sharp critiques, etc. That's why I become their loyal readers. But, writing a paid review? Ehm... Somehow I feel blog isn't "blog from your heart" anymore. But as I've said before there is nothing wrong with that. I don't disagree people who want to have income from their blogs. Please do whatever you like in your blog, that includes monetize your blog or writing a paid review. In fact, I'd tried once to monetize my blog, but I failed. I'm trying to think positive. Look, you can get side income from your blogs. So far I know there is no prohibition to get earnings from blog. Some people are succeed, some people aren't so lucky getting into the business. If you have an offer to write a product then you get paid for that, how can you resist it? Can you? Who doesn't like money, anyway? So, when Mas Gaphe asked me if my post about Whatsapp was a product review or not, I'll answer here: yes, it was. But, if you ask me if that post was a paid review, I answer: no, it wasn't. Many times I have written about products or company's service. I wrote my new shoes, my first online shopping, my latest cellphone, and more, but none of those were paid reviews. I wrote them purely based on my experiences after using those products or the service that company had offered. Besides, which company would be interesting enough to endorse me as its brand ambassador? I'm not a celebblog. I'm not a famous blogger or a top influencer. I'm just a blogger, a mediocre one. I don't have many readers or loyal subcribers. My blog stats are still whirling in 750 pageviews. But, if one day a company approaches me and asks me to review its product, I'll try to be fair. I will write about one product if I like it and if the company allows me to write its advantage and disadvantage. I want to give my readers a complete information. For example, if Bank Mandiri asks me to write about one of its products or anything, I'll say yes IF Bank Mandiri lets me to share that once Bank Mandiri has let me down. Fans: Yeah, right, Kim. Like there is no other people whom they will approach and be their ambassador. Haha. You'll never know what the future might bring. No, I do not and I will not. I have very emotional feeling with my blog. It's all about my thoughts, my masterpiece, and my place to write whatever I want to write. I do feel the same when a blogger start to write a paid review. Not waiting too long, I just click unsubscribe button then. Maybe I'm jealous with him/her, but I will never do this to my blog; even paid review, ad-sense, or anything. If I want to get some money from the internet, I will open the new one -- it can be subdomain of galihsatria or even the new domain. 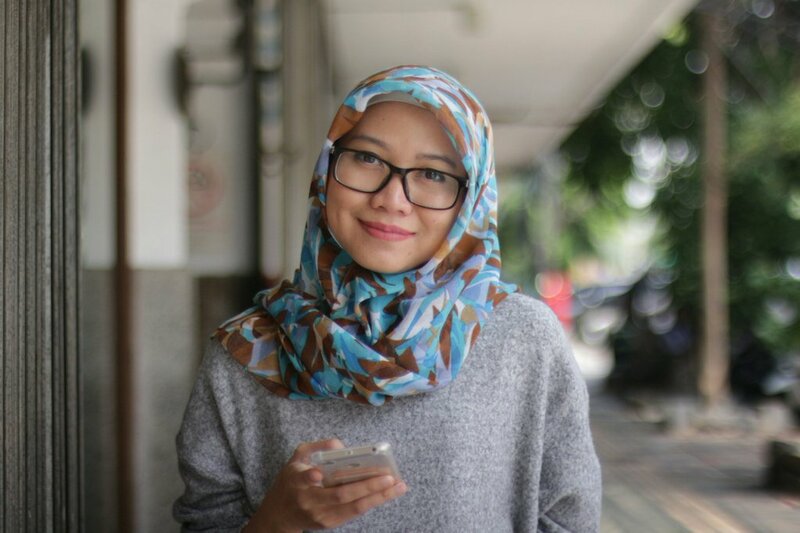 pingin juga me-monetize blog sejak dulu, mbak kimi. tapi ndak bisa2, hehe ... selamat tahun baru, semoga makin tambah sukses. it's really a personal choice whether to monetize your blog or not. I can relate to your feeling on this, but I do admit that not all blog monetizers use their websites solely for commercial purposes. it's OK if a blogger that you know personally wrote one or two reviews; just pay attention to what they say and you can still catch their sincerity in doing so, meaning that they give an honest and constructive opinion on the subject. Well, at first I feel betrayed, but then I'm used to it and OK with it. And I try to understand that it's okay to monetize your blog. just because we've got to optimize this online...it' very nothing to loose for me; 'try or not try' to monetizing this internet.